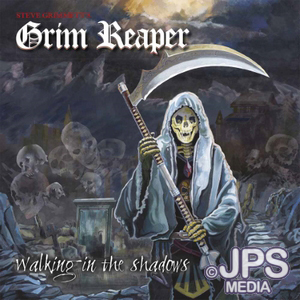 On June 15, Dissonance Productions announced the worldwide signing of Steve Grimmett's GRIM REAPER. The recently launched rock/metal label will release the band's new album, Walking In The Shadows, on September 23. It will be the band's first new recording since 1987's Rock You To Hell. Since reforming in 2006, Steve Grimmett's GRIM REAPER has made several European festival appearances including Germany's Keep It True, England's British Steel, Belgium's Heavy Sound, and Sweden's Muskelrock. Steve Grimmett's GRIM REAPER most recently performed on June 18 at Rock The Ball in Hungerford, England. It was a charity event for Marie Curie.